Throwing Halloween parties can be a blast, especially since it gives you an excuse to decorate the house with lots of creatures that go "bump in the night." 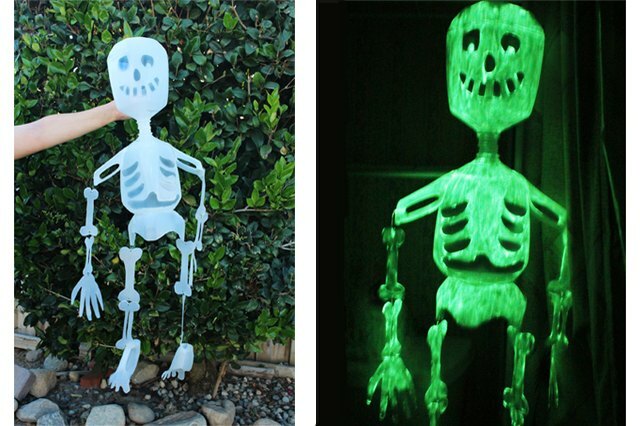 A skeleton made from old milk jugs is one decoration that is both easy on the wallet and frightfully festive. Before starting, make sure to thoroughly clean your milk jugs and let them dry completely. Remove the cap from each jug as well. For the head and torso, you will use one whole jug for each of these body parts. Draw two eyes, a nose and teeth/mouth on the head. You will also need to draw a ribcage on the torso (three ribs per side). For the shoulders and feet, draw them around the handle portion of the milk jug to give them more of a 3-D effect. 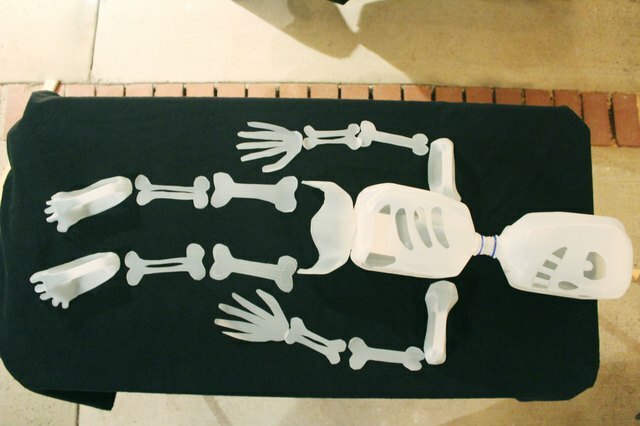 Use the bottom portion of a milk jug to form the hip/pelvis. 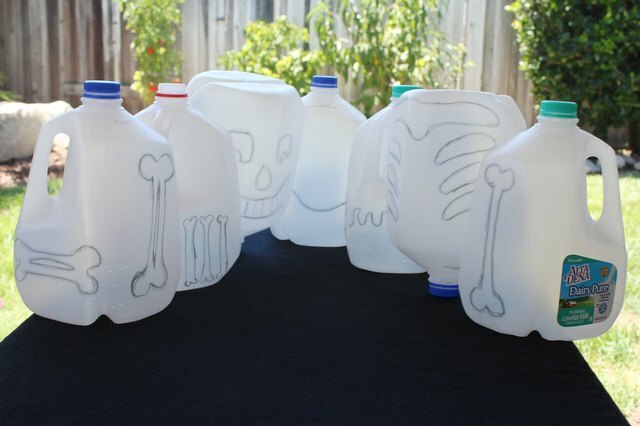 Use scissors to puncture a hole into the milk jugs and then cut out the bones. When they are all cut out, lay them out on a table to make sure you have all of your pieces. Since you already have the bones laid out on a table, use the hole punch to punch holes into the points of the bones where you will connect them together with string or fishing line. Take your string or fishing line and start connecting the bones together to create the skeleton's body, tying a knot at the ends of each string. Use hot glue to connect the head to the torso. You will also need to hot glue the torso to the hip/pelvis. 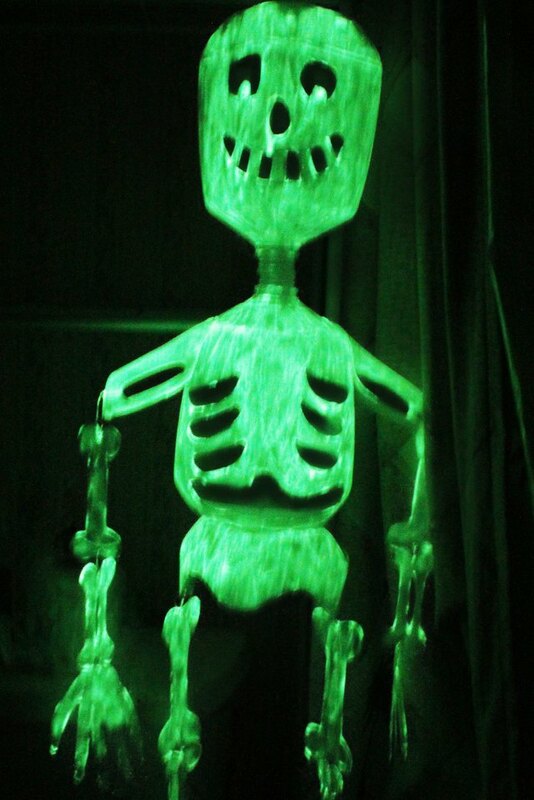 Now that your skeleton is all put together, paint it with a few coats of glow-in-the-dark paint. Allow each coat to dry before painting the next coat. Be sure to paint in a well-ventilated area. 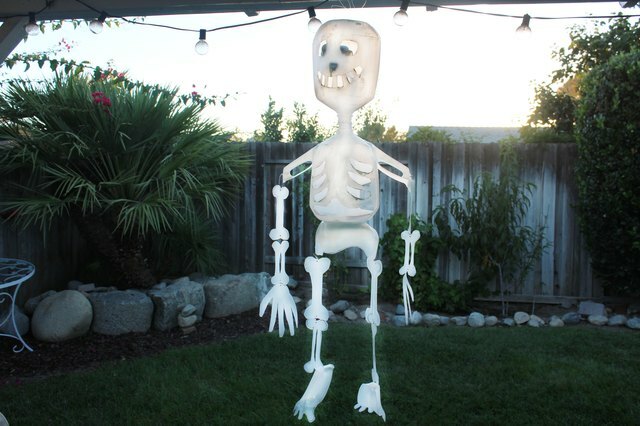 Once the paint is completely dry, your spooky skeleton is ready to hang outside or in a dark corner to garner some scary reactions from guests or trick-or-treaters.